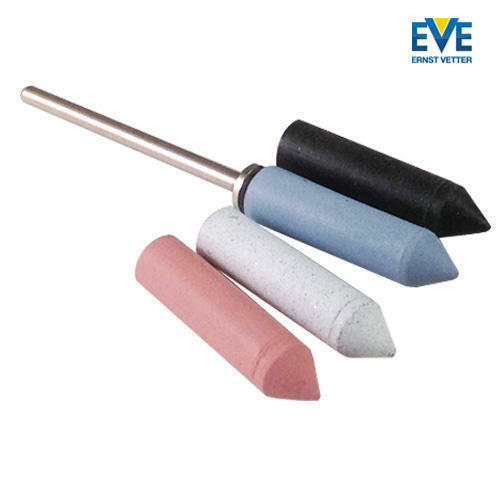 These soft, flexible EVE Universal Silicone Polishers are of the highest German quality. For use on a variety of materials: All metals, glass, ceramics, acrylic, enamel, composite materials, synthetic materials and porcelain. 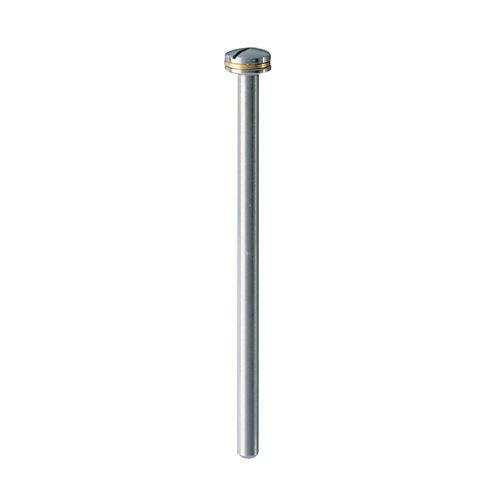 Please make sure to use our recommended taper mandrel with your bullet and cylinder shaped polishers. They are specifically designed to be used with these. 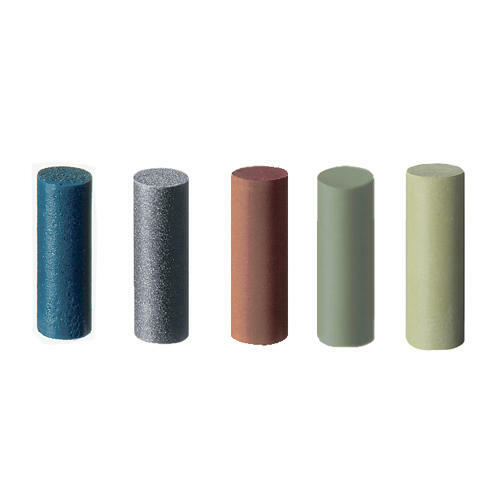 Other mandrels may cause the polisher to split or fly off when in use. 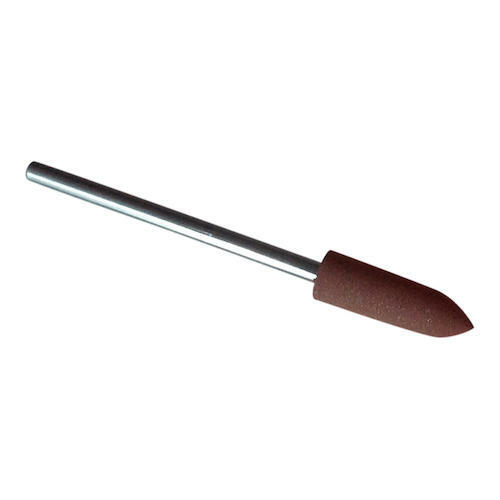 The screw mandrel is to be used with the knife edge and wheel shapes. 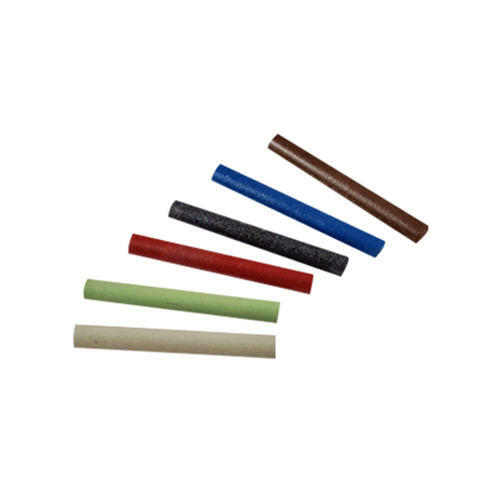 These rubber abrasives have a recommended speed of between 7,000-10,000 RPM and are to be used with light pressure. 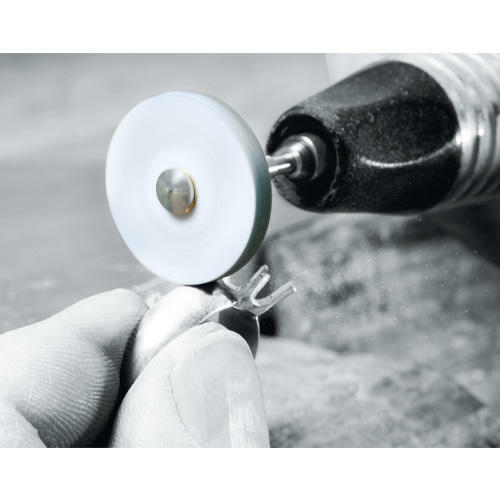 Ideal for use by jewellers, glass engravers, ceramicists and on all materials from precious and non-precious metals, glass, porcelain, acrylic, enamel, composite materials and synthetic materials. 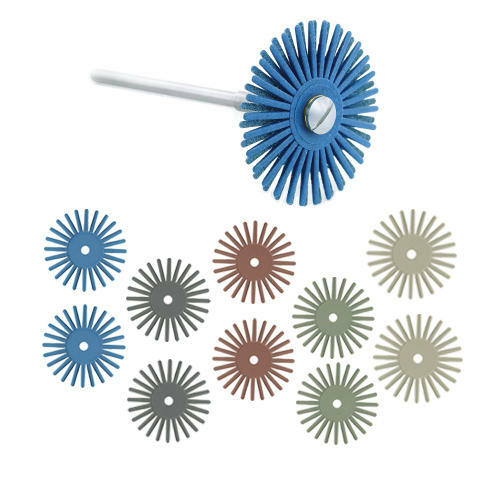 They are also useful for numerous jobs around the home such as removing paint from door handles, hinges, fixtures and fittings. Use in your pendant drill, flexible shaft, micro motor or rotary tool such as a Dremel (ensuring you have a 2.3mm collet or the Dremel Multi Chuck), Foredom or Proxxon. Helpful note: No need to use an additional paste or compound with these. White: Coarse for quick removal of metal, ceramic and acrylic. Tip for glass engravers: cut around the outline of your design in self adhesive vinyl this will protect your clear glass that you don't want cut from becoming polished as well. 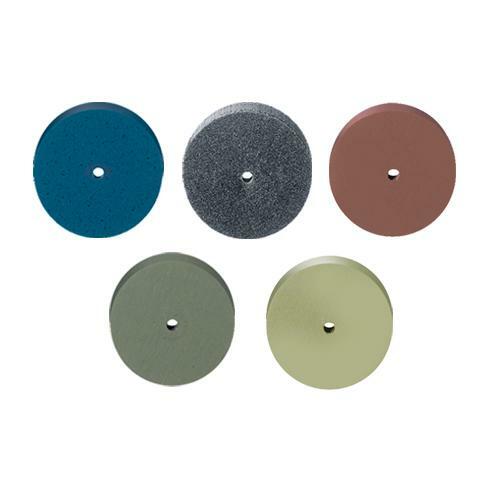 The black or blue abrasives are perfect for adding shading to your work. Excellent choice of items at competitive prices, excellent service throughout. These are the greatest thing since sliced bread. The most coarse will remove a small amount of material, so great for finishing touches, working up the finest to give a really good polished finish. I just could not do this to such a high standard before. 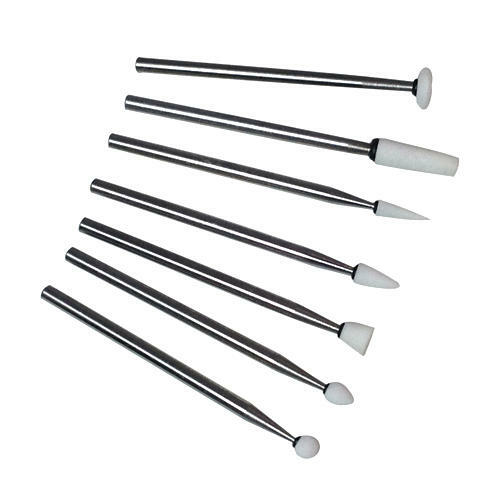 My Models come up great.<br /><br />The image attached are of models that have not seen any polish yet!<br /><br />One improvement that could be made is to indent/countersink the mandrel screw. They can catch on the work. I have to file mine down to almost nothing and put a fresh slot in them. All of their products are top notch. 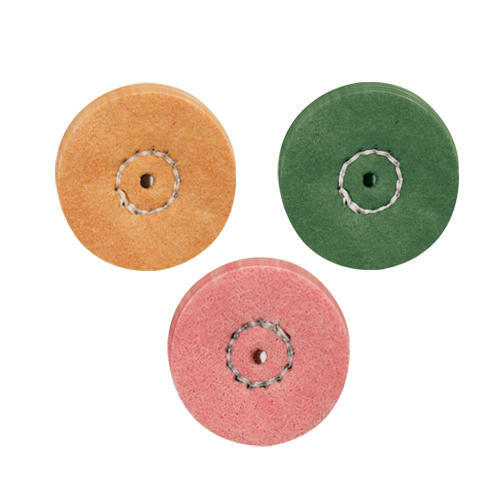 These rubber polishers are unmounted. 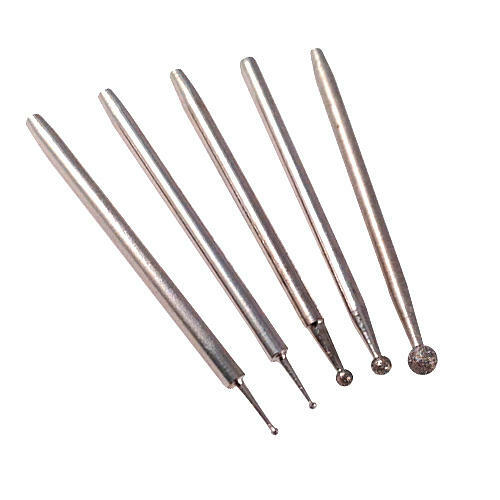 You will need either the taper mandrel (TM1) to hold the bullet and cylinder shapes or the screw mandrel (SM1) to hold the wheel and knife edge shapes, both of these mandrels have a 2.35mm shank. 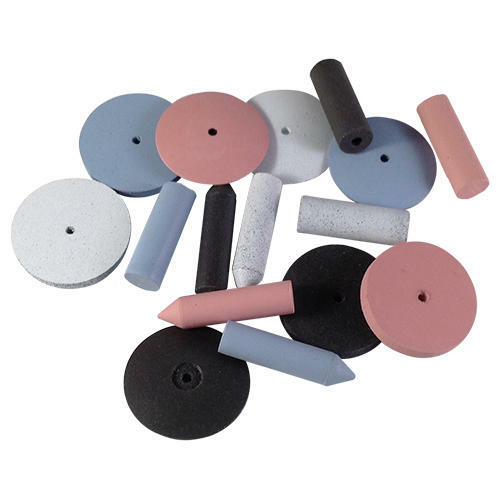 Is the white/course silicone polishing wheel somewhat flexible like an eraser or is it extremely firm like stone? The range of the polishers on this page are flexible like an eraser. 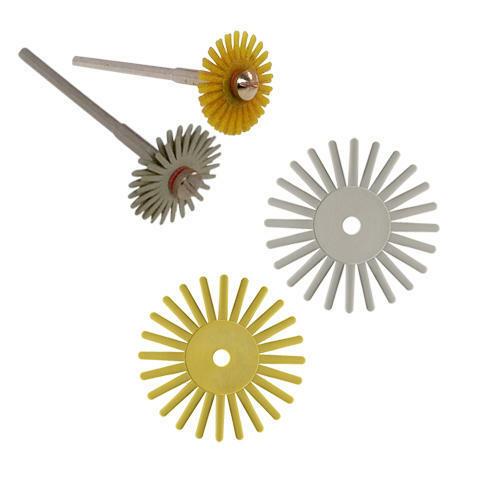 For a more semi-rigid polisher try any from the EVEflex technik range which includes our Eveflex Technik Mounted Rubber Polishing Burrs, the unmounted rubber polishers and the mini rubber silicone pin polishers. 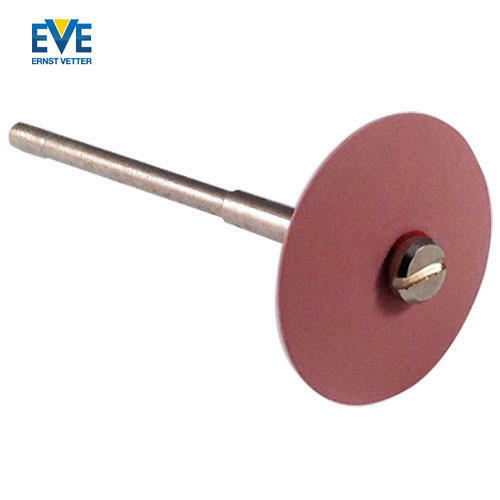 The EVE Pumice polishing discs are also semi-rigid.